Mahindra and Mahindra is gearing up to launch three all-new SUVs in the Indian market. These SUVs will compete with the likes of the Maruti Suzuki Vitara Brezza, Tata Nexon, Toyota Fortuner, Ford Endeavour and the Toyota Innova Crysta. 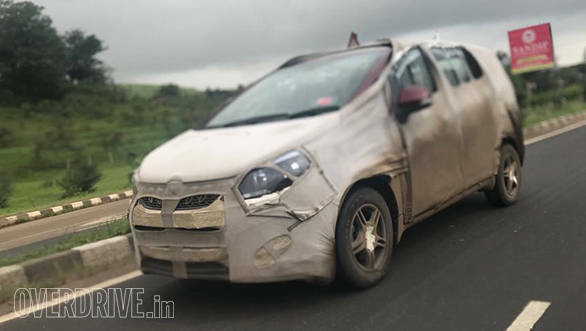 The Indian UV manufacturer has already confirmed that the one of the three SUVs will be launched before the festive season followed by the other two post the festive season by the end of this year. At the recent unveiling of the Marazzo nameplate for the upcoming MPV, Dr. Pawan Goenka, MD, Mahindra and Mahindra mentioned that the upcoming offerings from the Indian automobile manufacturer will be based on all-new platforms. Here are the three upcoming offerings that Mahindra plans to launch this year. The exterior of the car has been developed at Mahindra's North American Technical Centre in the US. The Mahindra Marazzo gets a shark-inspired design that can be seen in the streamlined and aerodynamic shape, in the overall silhouette and in the front grille inserts which resemble shark-like teeth and adds to the vehicle's aggressive stance. The design cues further flow into the tail lamps that are inspired by the tail of a shark. The interiors are expected to be feature loaded in a similar fashion to the XUV. It will be available in a 7-seater and 8-seater layout. Its dual-tone interior is expected to be equipped with a touchscreen infotainment system, automatic climate control, piano black panelling and a new steering wheel. More details on the design and features of the Mahindra Marazzon can be found here. Also, the Mahindra Marazzo will be manufactured in Nashik, Maharashtra.We believe the Mahindra Marazzo will be priced around the Rs 12 lakh mark. Mahindra has been testing a compact sub-4m SUV in India that is being developed under the project name S201. The S201 is based on the Ssangyong Tivoli and carries forward design cues from that car. 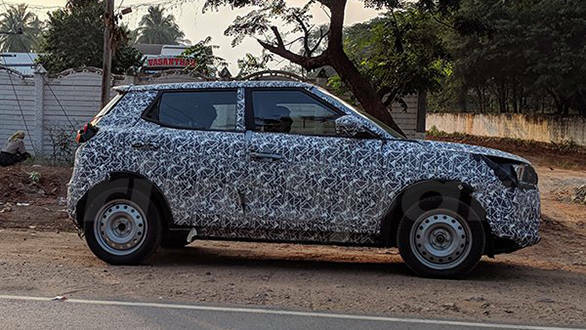 As seen from the images, the Mahindra SUV looks production ready and does not feature much camouflage on the side and the rear. While there is no official confirmation, we believe Mahindra will launch the S201 SUV this festive season and will lock horns with the likes of the Maruti Suzuki Vitara Brezza, Tata Nexon and the Ford EcoSport. The Mahindra S201 is being developed at the Mahindra Research Valley in Chennai. The upcoming S201 SUV will be available in both petrol and diesel engines. More importantly, it will make use of new-gen 1.5-litre and 1.6-litre petrol motors that is being jointly developed by SsangYong and Mahindra. This one should be priced in the Rs 6.5 lakh to Rs 10 lakh bracket. The new Rexton is a better styled, more mature, and more dynamically competent SUV as compared to its predecessor and given the Mahindra badging this time around, should garner better sales as well. This will be the next major launch for Mahindra after the XUV500 facelift and the upcoming U321 MPV. 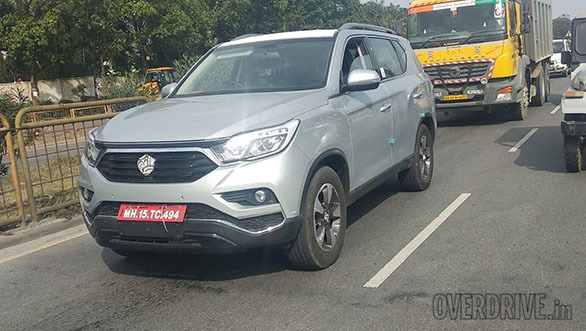 The Indian automobile manufacturer has clearly mentioned that the new SUV will be a rebranded version of the G4 Rexton sold in the international markets. The all-new Mahindra SUV as not been named yet and a launch date hasn't been announced either. In terms of features, the all-new Mahindra SUV will come equipped with HID lights, electric sunroof, dual-zone climate control, ventilated seats, 8-inch touchscreen infotainment system with GPS, nine airbags and an electric parking brake. Expect the pricing of the Mahindra Ssangyong Rexton G4 SUV to be around Rs 30 lakh.